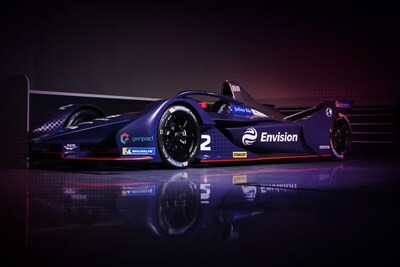 NEW YORK, Dec. 5, 2018 /PRNewswire/ -- Genpact (NYSE: G), a global professional services firm focused on delivering digital transformation, today announced a strategic partnership with the Envision Virgin Racing Formula E Team to drive long-term performance transformation for the organization. A key part of this initiative is Genpact's use of artificial intelligence (AI) to analyze vast amounts of data and assess race performance patterns that will enable the team to identify hidden efficiencies and unlock new racing strategies. In a sport where 45 intense minutes separate the winners from the forgotten, every fraction of a second brings a new crucial decision. With thousands of variables that change from race to race, AI and machine learning, applied to the right areas, can turn data into a competitive edge for Envision Virgin Racing's drivers Sam Bird and Robin Frijns. The partnership with Genpact will leverage the company's deep process, domain, and technology expertise, to drive transformative outcomes for the team. This includes using AI for pattern discovery to organize and make sense out of myriad information sources both within and outside the car—from mechanical aspects to environmental concerns like temperature and weather patterns to governance factors like race regulations. "In a competitive racing environment, data is our 'eyes and ears.' We lose the data, we lose the race," said Sylvain Filippi, managing director and chief technology officer at Envision Virgin Racing. "Envision joined the team as majority owner at the beginning of this year to improve the team's AI and IoT capabilities; working with Genpact will further strengthen these strategic areas. Our co-innovation with Genpact and Envision will deploy AI, machine learning, and other technologies to increase driver performance, improve strategy planning, and even boost our fan engagement. For example, the sensors on our cars sample data in various scenarios—from as low as once per lap to many times per second. Genpact's analysis will identify pre-failure patterns, allowing us to preemptively replace sensors, and reduce the risk of a data blackout, or at its worst, a mid-race car retirement." Genpact and Envision Virgin Racing will analyze multiple data points to spot patterns that help the team's strategists improve their algorithms, models, and simulations so they can plan a successful race with more accurate energy management and better in-race decisions about speed, power, and passing strategies. Genpact will help Envision Virgin Racing cleanse, organize, and harness its vast volumes of data, whether structured or unstructured, internal or external, applying machine learning to release new predictive insights. By combining deep analytics with car telemetry data feeds from more than a hundred sensors, the team improves pre-race strategy simulations and models that lead to more informed race-day decisions. "In racing, success or failure is measured in milliseconds. Together with Envision Virgin Racing, we are taking the bold step to make drivers, teams, and cars more connected, intelligent, efficient, and incisive—creating a high-performance racing ecosystem that is not just responsive, but instinctive," said NV "Tiger" Tyagarajan, president and chief executive officer, Genpact. "We've seen statistical analysis transform the sports world over the past few decades—now AI, applied to the right set of issues and integrated into the core of an organization, is poised to do the same. Like in the business world, future winners in sports will strategically and seamlessly connect process, data, and insights." One of Formula E's most innovative features is Fanboost, an additional burst of power voted for by fans through social media. The most popular drivers get the higher power mode, which is enough to overtake another driver or defend a position. To improve the chances of securing Fanboost, Envision Virgin Racing will work with Genpact to use customer journey mapping to get closer to its fans, building detailed personas to find high-propensity voters, and identifying new ways to convert them into regular Fanboost supporters. And with enhanced strategic planning, Envision Virgin Racing can determine the optimal conditions to use the boost. Genpact and Envision Virgin Racing will share more on their plans to use AI, machine learning, and predictive analytics to advance the future of racing and sustainable vehicles at the AI Summit in New York City on December 5 and 6. Interested parties also can join Facebook Live on December 5 at 11:20am EST to learn more and see Genpact's website to follow its partnership with Envision Virgin Racing. 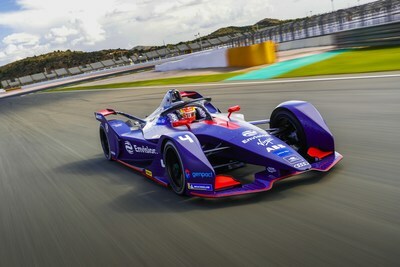 The Envision Virgin Racing Formula E Team is one of the founding and leading outfits in the ABB FIA Formula E Championship – the electric street racing series and the world's first fully-electric international single-seater category. Launching in 2014, the team was part of the series' inaugural race held in Beijing and has gone on to compete in every one of the 45 races to date. During that time, the outfit has scored more than 600 points – including seven wins and 19 podiums - making it the third highest points scorer of all time, and one of only two teams to have recorded victories in every season of Formula E.
Now with new majority owner Envision Group on board, together with the continued support of Virgin founder Sir Richard Branson and the Virgin Group, the team's commercial headquarters are based in London, whilst its operational arm is centred at new state-of-the-art facilities at Silverstone Park. Envision's mission is to 'Solve the Challenges for a Sustainable Future' and the team provides a global platform for this message, and the technology, to be shared. Overseeing the team's operations is Managing Director Sylvain Filippi, who has been with the team since day one. Its driver line-up for season five features British racer Sam Bird and Dutchman Robin Frijns. Now, after four successful seasons, the team embarks upon the 'watershed' fifth season of Formula E which will see an all-new car introduced, together with brand new race tracks, and begins on December 15, 2018.